Composed by Alan Jay Lerner and music by Frederick Loewe. 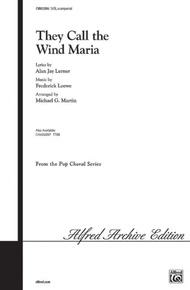 Arranged by Michael G. Martin. Performance Music Ensemble; Single Titles. Alfred Archive Edition: Alfred Pop Choral Series. Broadway; Secular. Choral Octavo. 12 pages. Alfred Music #00-CHM02096. Published by Alfred Music (AP.CHM02096).